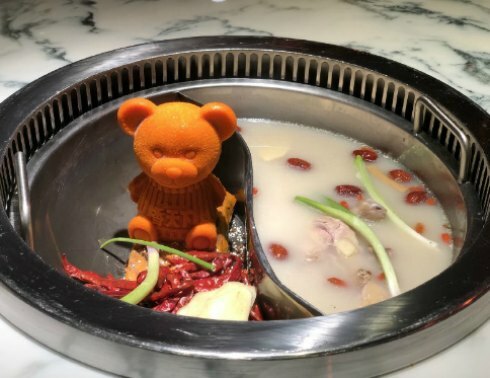 Hotpot is all about relaxing and freedom to eat, but there are some etiquette rules one should keep in mind. 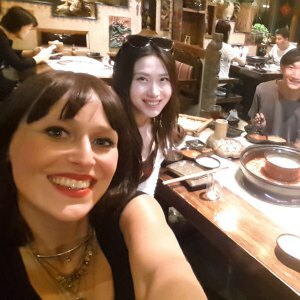 Avid food lover The Wanderluster explains Chinese hotpot etiquette, and shares some do’s and don’ts. 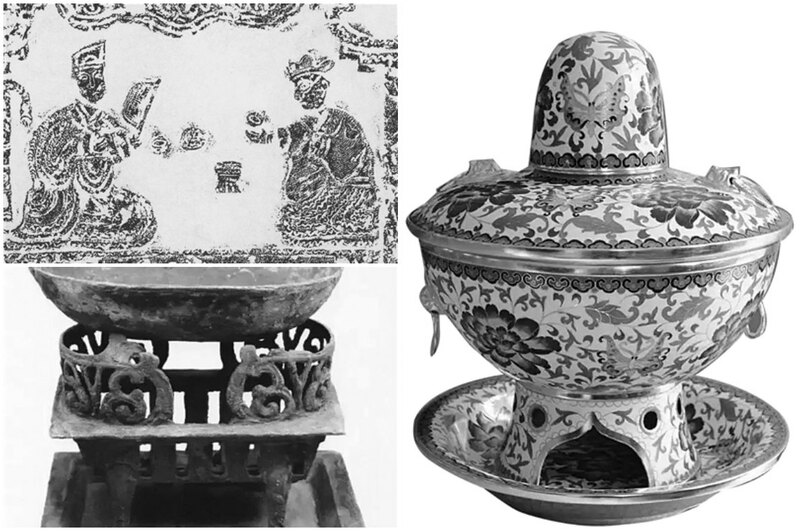 The origins of Chinese hotpot are said to date as far back as the 11th century. 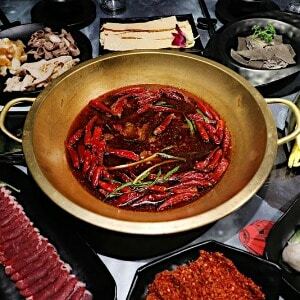 With a hot cauldron of soup kept at boiling point set in the middle of the dining table, hotpot is an interactive dinner where people gather around and cook anything, meat, seafood, mushrooms or vegetables, according to their preference. 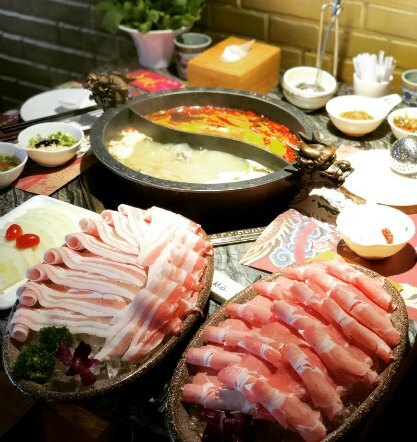 Having hotpot has become a social phenomenon popular with people of all ages, and is enjoyed with family, colleagues, and friends. 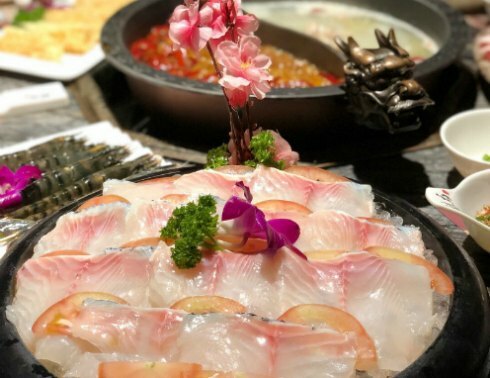 The list of hotpot ingredients is endless, and many of them are raw meats or fish. My personal favorites are pork collar and belly from the black-haired pig varieties (think Japanese kurobuta and Spanish Iberico), ox tongue, and fresh shrimps. Whenever dealing with raw food, it is important one does not use the same chopsticks for putting the raw food in the pot and also for eating. So remember that separate utensils should be used for dining and handling of raw ingredients. With soup hot enough to cook raw meat, please don’t dip any plastic or non-heatsafe utensils in the hotpot. My dad did exactly that with a pair of plastic chopsticks while I looked on in horror, screaming “It’s plastic!” with my mouth full of noodles. You really don’t want anything inorganic dissolving into the soup. 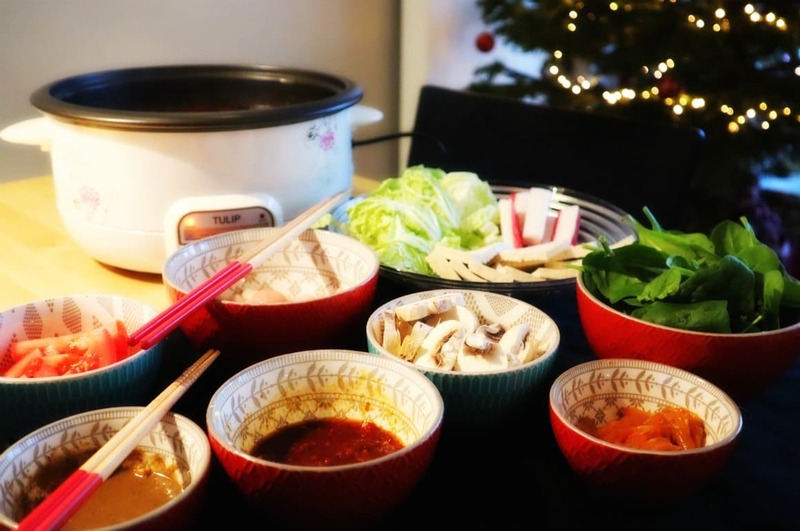 A hotpot meal takes time, especially when there are so many hotpot ingredients on the table. 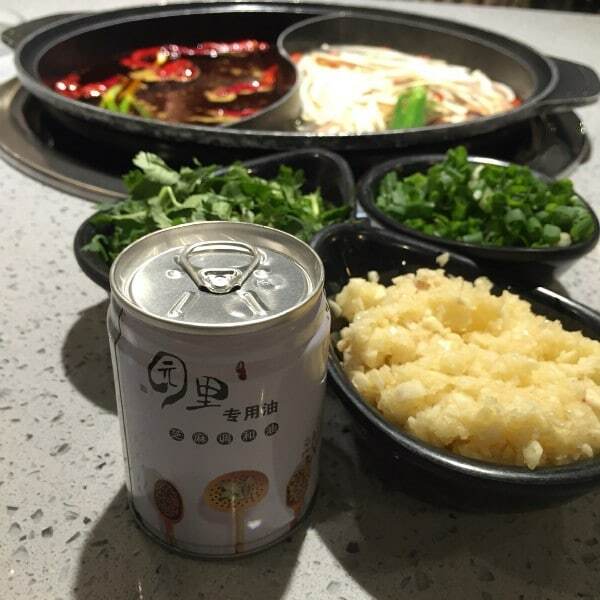 Each hotpot ingredient is meant to be savoured slowly. If you are in a rush, please reschedule the meal. A personal eye-rolling moment for me, is when I see diners dump all the ingredients into the hotpot at the same time. People, this is not a stew! Cook each piece of meat, seafood, mushroom or vegetable as you eat. An exception is made for ingredients that require a longer cooking time such as wongbok, winter melon, and radish. 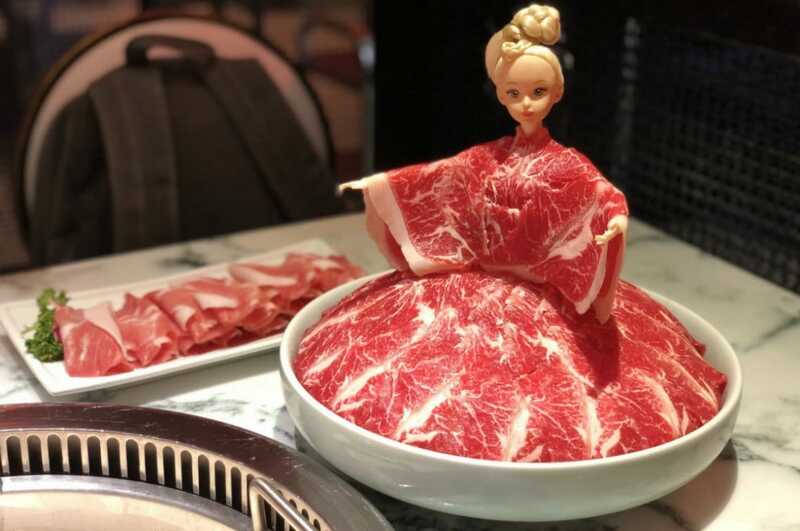 A good way to cook thinly sliced meat is to deploy the “seven up eight down” method, which metaphorically refers to the palpitations of a worried or anxious heart in a Chinese saying. Simply dip the meat in and out of the boiling soup eight times and it should be nicely cooked. While most meat and seafood cook well in all sorts of soup base, soup-absorbing ingredients like vegetables, mushrooms and soy products fare better in non-spicy soup base. 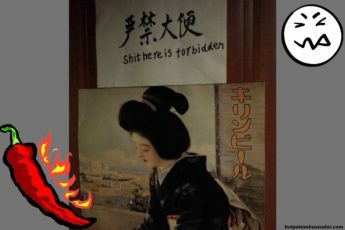 The last thing you want is to choke on the spicy soup bursting in your mouth as you chomp on the shiitake mushrooms. 5. Stop refilling the stock until I say so! 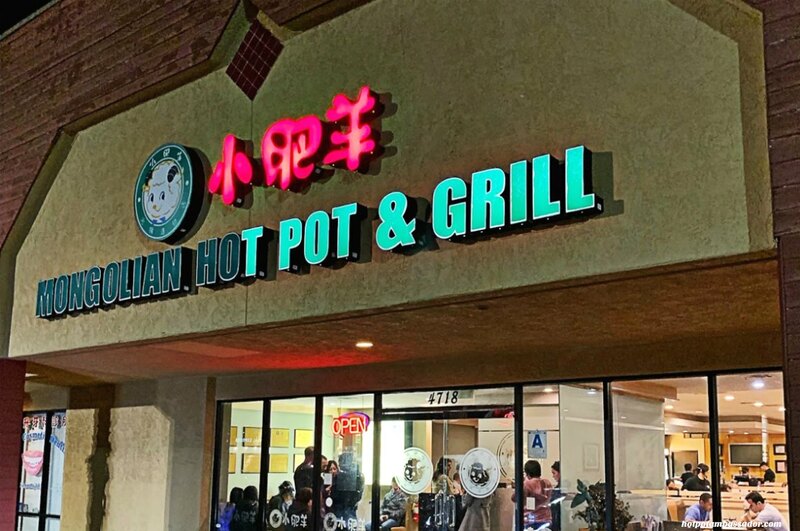 The best part of the hotpot for me is the soup. 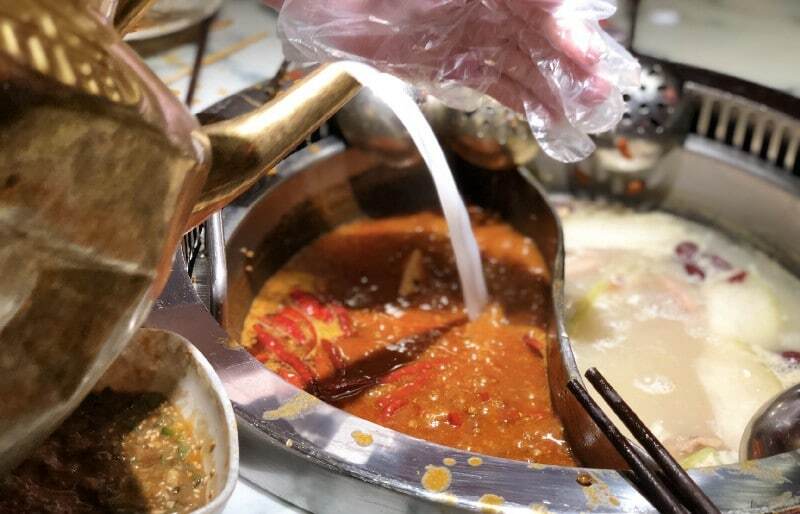 After absorbing all the wonderful flavours of the meat, seafood, mushrooms and vegetables, the soup makes a precious bowl of elixir and nothing infuriates me more than seeing someone refill the soup without asking, and diluting all the flavours. Very often, as the service staff approach with the soup kettle, I put up the emergency stop sign and unabashedly scoop a few bowls of soup on standby before allowing the refill. 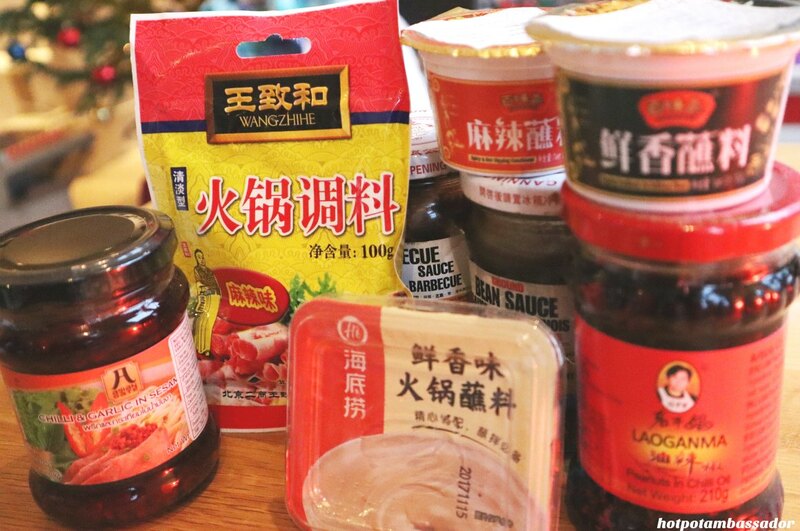 When you’re making hotpot at home, let your imagination run wild when it comes to soup base, hotpot ingredients and dipping sauces. The options for soup base is limitless and really up to your imagination. 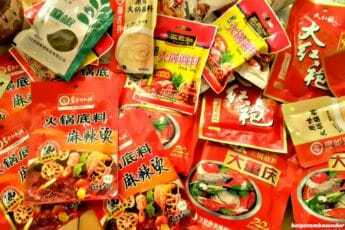 In desperate hotpot times, in case you have nothing at home to prepare a hotpot soup base, even instant noodle stock sachets will do the trick. 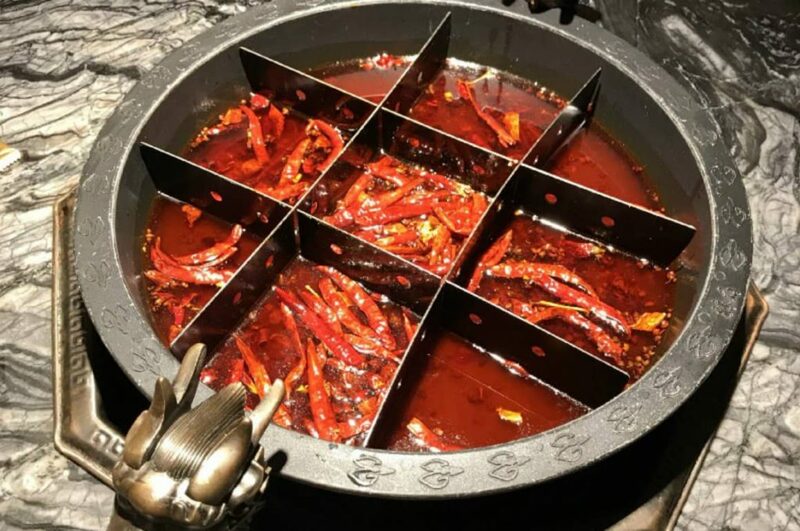 A common dipping sauce for spicy hotpot in Chengdu is a whole can of sesame oil, minced garlic and chopped spring onion which purportedly helps mellow the spiciness of the hotpot ingredients cooked in the lips-and-tongue-numbing concoction of dried chilli, Sichuan peppers, garlic and godzillion other spices. An avid writer with an insatiable love for food, travel and all things good in life. Follow her on Instagram: @theroguewanderluster and on Medium @thewanderluster.